Literacy Volunteers of Oswego County (LVOC) is hosting their Family and Books program at Mexico, Fulton, Oswego, Pulaski and Central Square libraries. Shown in the top left is AmeriCorps member Diego Gallardo engaging children at the first day of LVOCâ€™s Family and Books Program. Call LVOC at (315) 342 8839 to register for any of the sites or visit www.lvoswego.org for more information. The first day of Literacy Volunteers of Oswego County (LVOC)â€™s Family and Books program 2010 was a winner for both the children and parents who attended. Over 29 children came to the Mexico Public Library on July 28th to enjoy 2 hours of fun and learning. â€œOur summer program is a great way for parents and children to spend some quality time together as well as getting the children prepared for the upcoming school year â€œ, said AmeriCorps VISTA member Diego Gallardo. â€¢	Oswego Public Library â€“ August 20th and 27th, 10:30a.m. to 12:30p.m. â€¢	Hannibal Public Library â€“ August 11th and 18th, 1:00p.m. to 3:00p.m. â€¢	Mexico Public Library â€“ August 18th, 1:00p.m. to 3:00p.m. 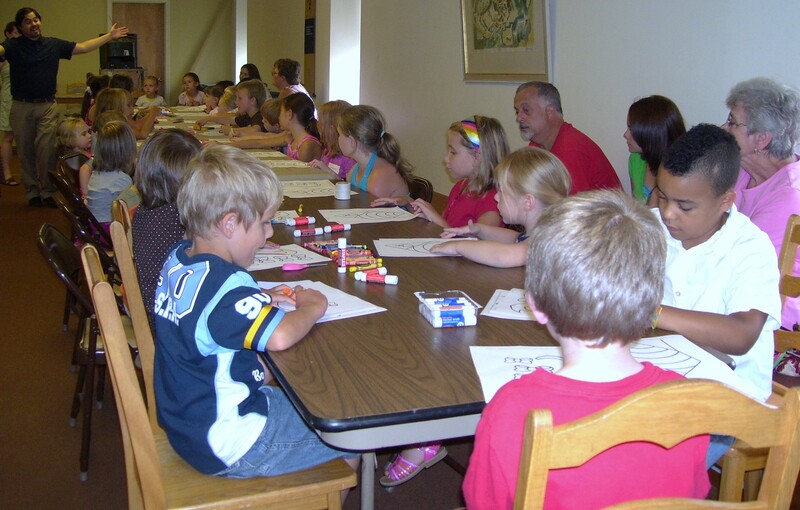 â€¢	Fulton Public Library – August 17th and 24th, 10:00a.m. to 11:30a.m. â€¢	Pulaski Public Library â€“ August 10th and 19th, 1:00p.m. to 3:00p.m. â€¢	Central Square Public Library â€“ August 18th and 25th, 6:00p.m. to 8:00p.m. Pre-Registration for each FAB event is required as materials have to be prepared for each event based on the number of children registered. All children who attend any of the sessions will receive a free book. Parents are required to stay with their children for the duration of the session as the focus is on interactive learning. â€œAdult literacy impacts the entire family. So, by teaching parents to read and the importance of education, we are giving their children an excellent role model and, hopefully, a future that will include lifelong learning.â€ states the Adult Reading Center, Inc.
For information about LVOC programs or to register for any of the FAB locations, call the LVOC office at 342-8839.